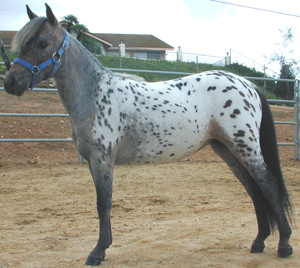 Hi Point champion 2009 aged mares (PCMHC) And many blues Not bad since she has been a brood mare her whole life We are expecting a foal out of her by HHP Talk of the Town our AMHR/ASPC Stallion for 2010. 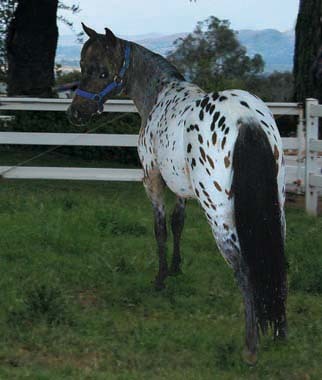 See Stallion page for more information. 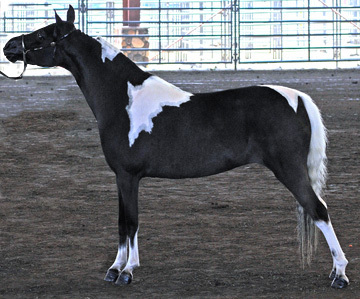 This is one outstanding young brood mare Her pedigree has some of the most sought after lines in the industry today: Wink's Showdeo KidII, Wink's Showdeo Kid, Winks Roja, Red Rock, Z.J. Windwalker (HOF), Pony Vistas She had a knockout colt last year Out of Establo Tijuana Taxi(HOF), Vista Del Valle Tijuana. We are expecting a 2010 foal out of Jessie and HHP Talk of the town our AMHR/ASPC stallion, see stallion page for pictures and information on him. 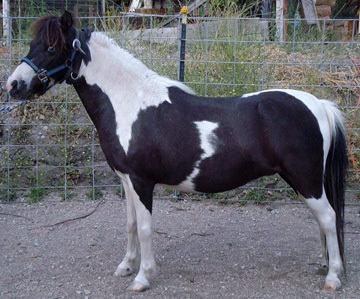 We are excited about adding Gracie to our breeding program her pedigree says it all just check it out: Sire: Chile Lee, Line breed Kid Lee, Wink's Showdeo KidII, Wink's showdeo Kid, Wink's Roja, Red Rock Sweet Lee. 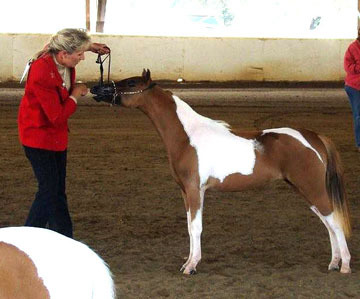 We have a beautiful 2009 bay and white colt out this mare and HHP Talk of the town AMHR/ASPC stallion, see stallion and foal pages for more information. 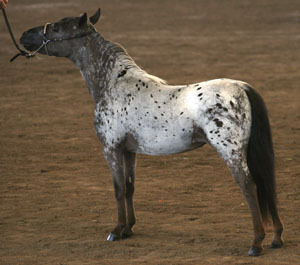 In foal to Philco's Mi Novio for a spring 2010 foal. 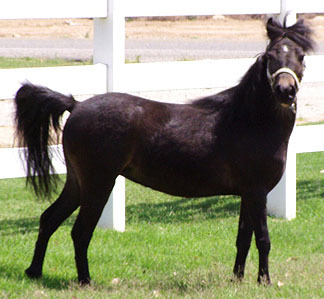 Bred to Establo Tijuana Taxi for a Spring 2009 foal. We are very excited about this one! UPDATE: It's a beautiful colt - see pictures of Bennett's Tijuna Sundance on Foals page.